Selfies are the new trend and the and everyone out with a smartphone are obsessed with selfies, Be it Facebook or Instagram almost all the social media platforms are flooded with selfies. To cash the selfie trend, social media sites introduced various new features like stories that allowed users to share their crazy selfies with their friends. On the other hand, smartphone companies are launching devices that are primarily focussed on clicking selfies and these devices are shipped with the front camera that is with 20 megapixels. Apparently even this is not able to satisfy the cool young generation, who love capturing their fun moments. To address the needs of selfie lovers, developers focussed on designing dedicated apps to enhance selfies and these apps have the ability to add a sticker, vintage filters and funny AR masks. All these apps have quickly become popular and are surfing up across the Google play store. With hundreds of apps on Play store how many of them are worthy to be in our list? Don’t worry, we are here to assist you in picking the right selfie app from the huge heap of apps that are mostly filled with ads. Go through the list of best selfie apps for Android that will enhance your selfies and replace your beauty kits. Youcam perfect is one of best selfie app for Android devices. The app is featured in Google Play Stores 2018 editors choice list and is totally worth the choice and personally my favourite too. Youcam perfect helps to capture best selfie snaps with its intelligent beautifying effects. The app comes with all the features that selfie lovers need. Real time skin beautifying effects, radiant blur effects, skin smoother, object removal and funky stickers make the app an all-in-one solution to retouch your snaps. It is featured with a minimal interface to focus more on editing rather than searching for features. Edit Photos with Full Editing Toolkit. Stylize & Share Pics with Friends!. Retrica is all about filters. It is one of the early photography apps to feature awesome filters with every update you get trending filters. It has perfect filters for every occasion. Retrica is the first choice I consider while taking selfies with my colleague and friends. It is totally worthy to be the default camera app. Thanks to the simple interface and real-time filters. Apart from filters, you can add fun stickers, group photos as colleagues and can even turn photo albums into videos or gifs. Retrica allows you to share photos instantly to social media. Fun stickers, stamps, doodles, and more! Saving pics is a bit annoying. You have to do that every time you capture a short. It is named after a planet from the popular novella “The little prince”. Just like its name the app makes you look like a princess. It is the favourite choice for women. The app is made by the popular Korean social messaging app Line and is pretty popular due to its huge collection of stickers. The app is having over 1500 diverse stickers. Most youngsters and Instagram models fell in love with this awesome photography app. Best Photo editing app with powerful features. You need to save every photo you take. Doesn’t look natural. It is easy to identify the difference. If you are looking for a simple and user-friendly Selfie enhancing camera app then Beauty Plus is your solution. The app is very easy to use. It perfectly balances the ease of use and powerful features and great photo editing tools. The best thing about Beauty Plus app is the photos you edit with the app looks more natural than other Camera apps. It is worth trying and totally satisfying photo app to use. These are some of the best photography apps that will turn your ordinary selfies into artistic photos make them look extraordinary. Are you ready to get flooded with hundreds of likes on your photos on Instagram and Facebook? 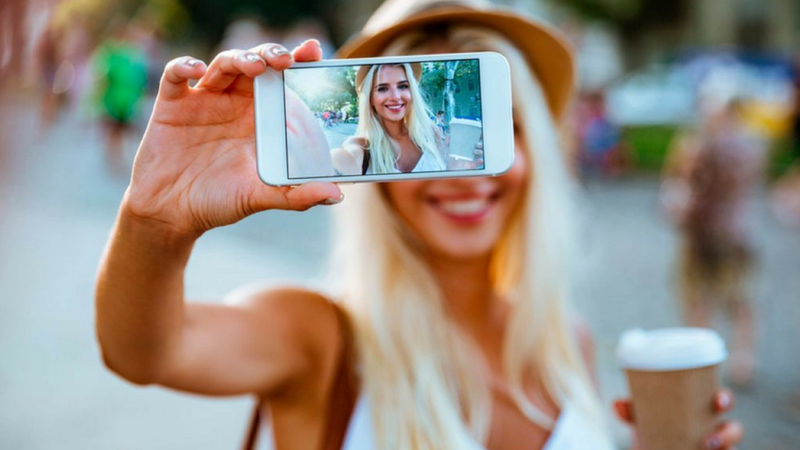 Well, then you should start these using these selfie apps and make your friends awe!